Artificial wall covering products come in a variety of styles shapes and sizes. Within our range we can offer you choices from boxwood, acer, bay leaf in various colours and in many forms like tiles trellis or mats. Easy to install the solution couldn’t be simpler. 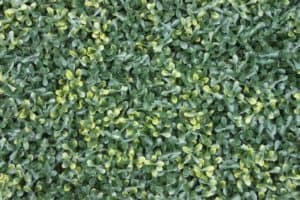 The WonderWal Buxus wall covering is available as a 1x1 meter wall cover. The perfect solution to cover over that unsightly wall or fence or can be ideal for areas of limited sunlight or rainfall where real plants might not survive. The polyurethane PE leaf is carefully designed to replicate the original leaf in terms of style, shape and colour and so creates a very realistic solution to brighten up an otherwise dull and dreary wall surface. WONDERWAL ARTIFICIAL HEDGE SCREENING EXPANDING TRELLIS Gardenia Trellis Tile Size 100cm x 200cm The WonderWal Laurel Leaf Artificial Screen Expanding Trellis is available as a 100 x 200cm section. Each screen is expandable so as to fit into a variety of sizes. This extensive range of hedge trellis are the perfect solution to cover over that unsightly wall or fence or can be ideal for areas of limited sunlight or rainfall where real plants might not survive. 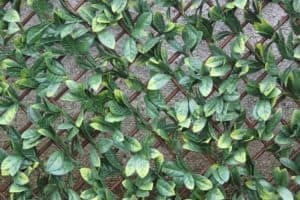 WONDERWAL ARTIFICIAL HEDGE SCREENING EXPANDING TRELLIS LAUREL LEAF EXPANDING TRELLIS Product-Code: YOJ-828 Tile Size 100cm x 200cm The WonderWal Laurel Leaf Artificial Screen Expanding Trellis is available as a 100 x 200cm section. Each screen is expandable so as to fit into a variety of sizes. This extensive range of hedge trellis are the perfect solution to cover over that unsightly wall or fence or can be ideal for areas of limited sunlight or rainfall where real plants might not survive. 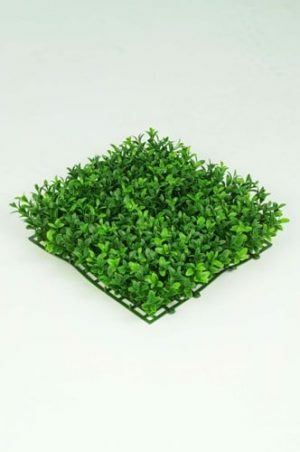 WONDERWAL ARTIFICIAL HEDGE SCREENING TILE BUXUS STANDARD Product-Code: YOJ-564 Tile Size 100cm x 100cm x 6cm The WonderWal Buxus Artificial Screen Tiles are available as a 100 x 100cm interlocking hedge tile. 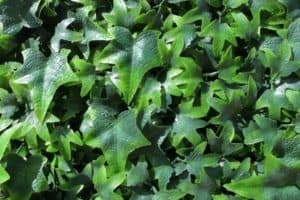 this extensive range of hedge tiles are the perfect solution to cover over that unsightly wall or fence or can be ideal for areas of limited sunlight or rainfall where real plants might not survive. 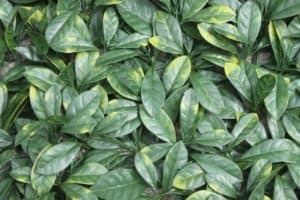 WONDERWAL ARTIFICIAL HEDGE SCREENING TILE LAUREL LEAF Product-Code: YOJ-563 Tile Size 100cm x 100cm x 6cm The WonderWal Laurel Leaf Artificial Screen Tiles are available as a 100 x 100cm interlocking hedge tile. 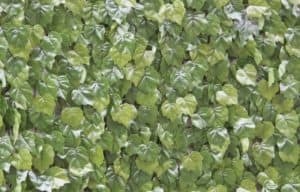 this extensive range of hedge tiles are the perfect solution to cover over that unsightly wall or fence or can be ideal for areas of limited sunlight or rainfall where real plants might not survive. 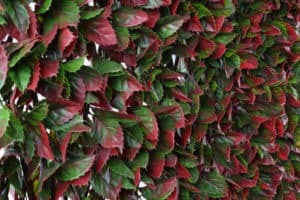 WONDERWAL ARTIFICIAL HEDGE SCREENING TILE VIRGINIA CREEPER Product-Code: YOJ-553 Tile Size 100cm x 100cm x 6cm The WonderWal Virginia Creeper Artificial Screen Tiles are available as a 100 x 100cm interlocking hedge tile. 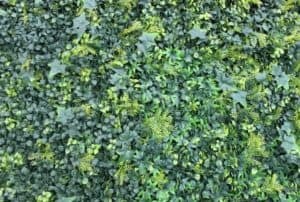 this extensive range of hedge tiles are the perfect solution to cover over that unsightly wall or fence or can be ideal for areas of limited sunlight or rainfall where real plants might not survive. 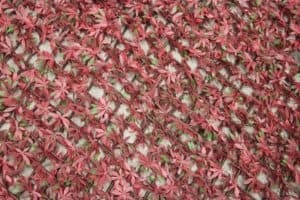 WONDERWAL ARTIFICIAL HEDGE SCREENING TILE RED ACER Product-Code: YOJ-551 Tile Size 100cm x 100cm x 6cm The WonderWal Red Acer Artificial Screen Tiles are available as a 100 x 100cm interlocking hedge tile. 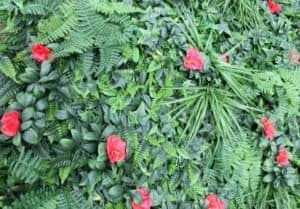 this extensive range of hedge tiles are the perfect solution to cover over that unsightly wall or fence or can be ideal for areas of limited sunlight or rainfall where real plants might not survive. WONDERWAL ARTIFICIAL HEDGE SCREENING TILE AMERICAN BEECH Product-Code: YOJ-550 Tile Size 100cm x 100cm x 6cm The WonderWal American Beech Artificial Screen Tiles are available as a 100 x 100cm interlocking hedge tile. 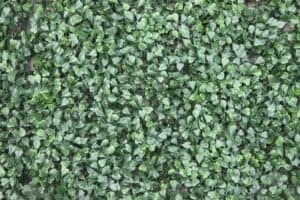 this extensive range of hedge tiles are the perfect solution to cover over that unsightly wall or fence or can be ideal for areas of limited sunlight or rainfall where real plants might not survive. 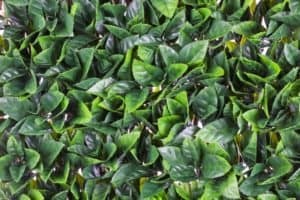 WONDERWAL ARTIFICIAL HEDGE SCREENING TILE ENGLISH IVY Product-Code: YOJ-552 Tile Size 100cm x 100cm x 6cm The WonderWal English Ivy Artificial Screen Tiles are available as a 100 x 100cm interlocking hedge tile. 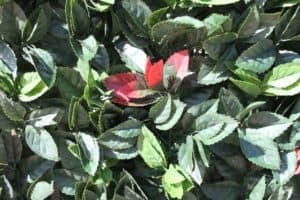 this extensive range of hedge tiles are the perfect solution to cover over that unsightly wall or fence or can be ideal for areas of limited sunlight or rainfall where real plants might not survive. 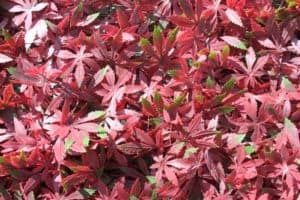 WONDERWAL ARTIFICIAL HEDGE SCREENING EXPANDING TRELLIS RED ACER EXPANDING TRELLIS Product-Code: YOJ-772 Tile Size 100cm x 200cm The WonderWal Red Acer Artificial Screen Expanding Trellis is available as a 100 x 200cm section. Each sreen is expandable so as to fit into a variety of sizes. This extensive range of hedge trellis are the perfect solution to cover over that unsightly wall or fence or can be ideal for areas of limited sunlight or rainfall where real plants might not survive.